Without any prior knowledge about the new places, finding a good apartment can be as hard as finding a girlfriend. In order to make your live enjoyable (not miserable), you want to find one apartment that are within walk distance from the university, close to bus stop, has a panoramic view just outside of your window, and of course close enough to the city center where you can reach for any kind of shops, supermarket, cafes, bars and restaurants. You have all these criteria of perfect apartment in your head, but you have no idea how to find one. 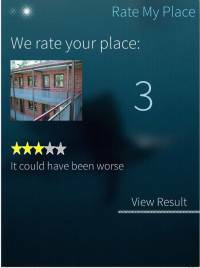 Well, wonder no more, because with “Rate My Place!” , we assure that you will find your dream apartment just in one click. 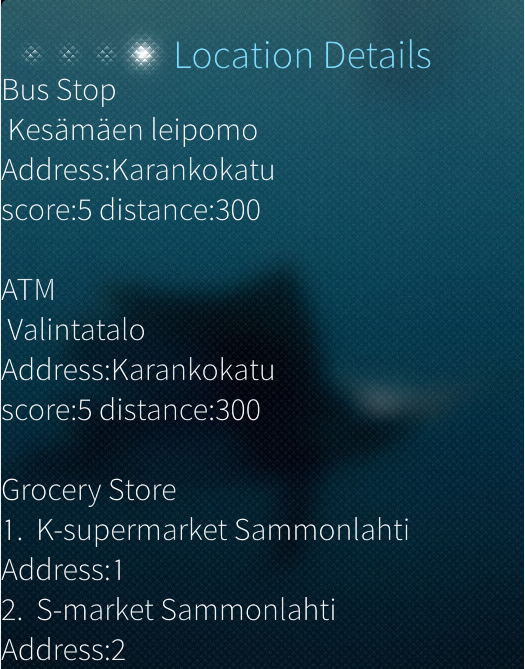 Currently we developped the service only on Sailfish. 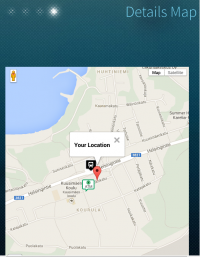 The service itself makes use of the data we pull from OpenStreetMap (http://www.openstreetmap.org/). So, basically the service only lives on the device for now. I am not talk about maps service. I am asked rating DB service ..
now I understand. Thank you for your explanation and sorry for having had inappropriate expectations. i586 packages cannot be installed on jolla phone. You have to build package for armv7hl target with sdk. Hi, I understand. 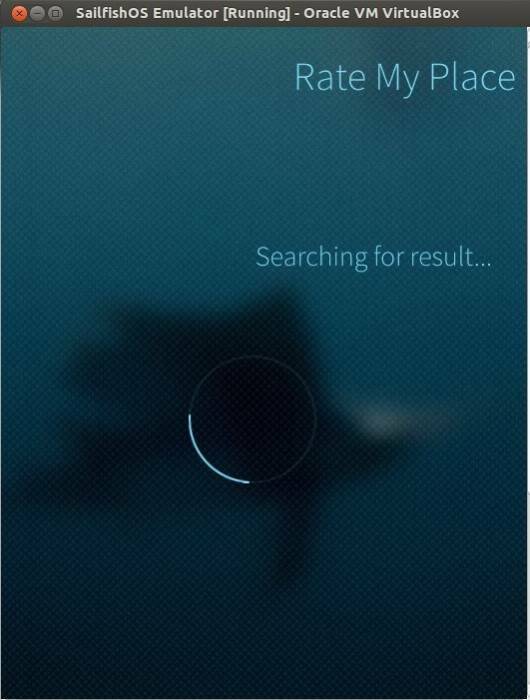 But in that case, it shouldn't be marked as "sailfish_app". This was notice for publisher of application. 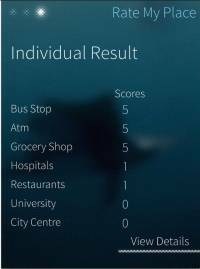 sailfish_app is a platform(Sailfish OS), and app can have versions for multiple archs. For example OwnNotes have versions for i586 and armv7hl.